The last two years have held more personal and professional growth than I’ve ever had. A time of looking inward, objectively at myself. A time of real honesty about who I was and what I wanted to be. What I really wanted to be and do and how I wanted to live my life. And the goals and dreams I had for my career, training, hobbies, passions and family. And now, I want to share it with you. 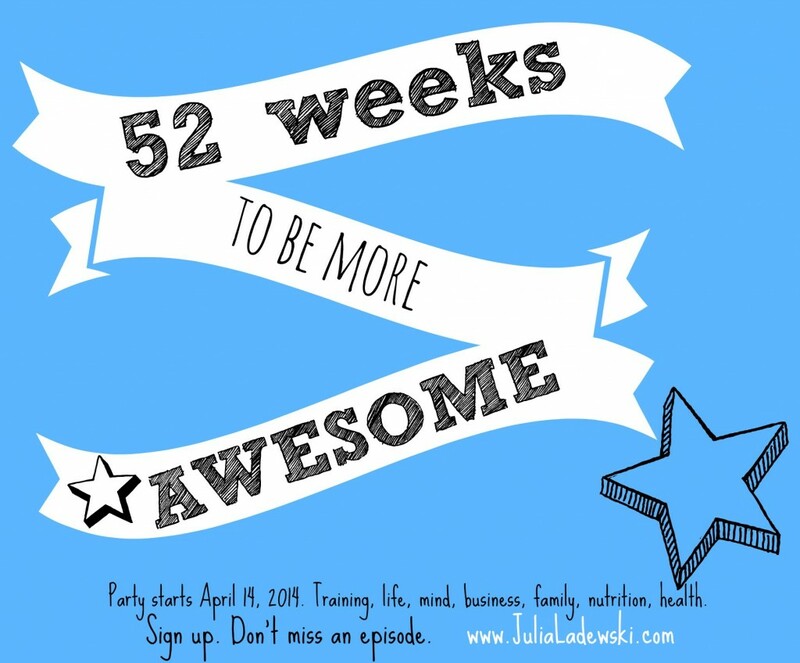 First, read this post by Julien Smith titled “The Short and Sweet Guide to Being F@#&ing Awesome.” It pretty much sums up the gist of what we are doing over the next year. Continue this journey with me. Each week, I’ll share some of the ideas, resources, workouts and tips that helped me along the way. Not gonna lie – it takes some work. And honesty. And introspection. And humbleness. And patience. And love. But I promise you, you will be stronger (mentally and physically) and MORE AWESOME every day. And I promise to keep these posts short and sweet, because I know your time is precious. The fun begins April 14, 2014. Get all the updates PLUS extras (the extras are only delivered to those that opt in… don’t worry, your info is kept private).